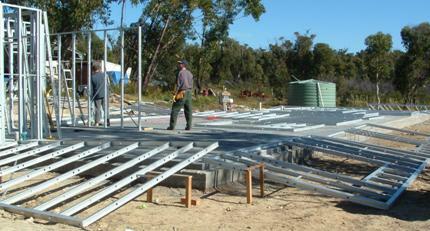 Thank you for taking the time to investigate ILLAWARRA STEEL FRAME HOMES. Established as KIT HOME supplier since 1992, our aim is to provide a full service to the owner-builder from concept to completion. We have carefully chosen products designed to make the building process as easy as possible for the average handy man to achieve a quality finish. After sales support and problem solving our clients have told us is what we do best. We understand this is a very important part of our service. Owner Building your home is a big responsibility. There are many things to deal with that you may not have dealt with before. From designing the right plan that will become your home, site excavation, each individual stage of construction, dealing with sub-contractors, site deliveries to dealing with inspectors. And it NEVER runs the way you think it will. Using our knowledge from years of experience in selling Kit Homes we are here for you. No matter what size, style or shape of house you want, it can be designed with a steel frame. Because of its strength, a steel frame can offer many design freedoms including longer roof spans and larger unobstructed living areas. 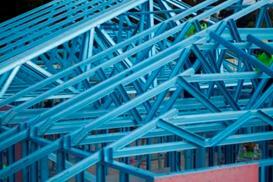 Because of our experience in steel frame manufacturing we have no design restrictions. Our concept plans are only there to help get you started. Each plan has its own inclusions list and pricing. Any of these designs or inclusions can be changed to suit your needs. We are more than happy to work with you on your own ideas and give an obligation free quote. Please give us a call or make an appointment to visit our factory, view frame and display materials or to obtain any further information.